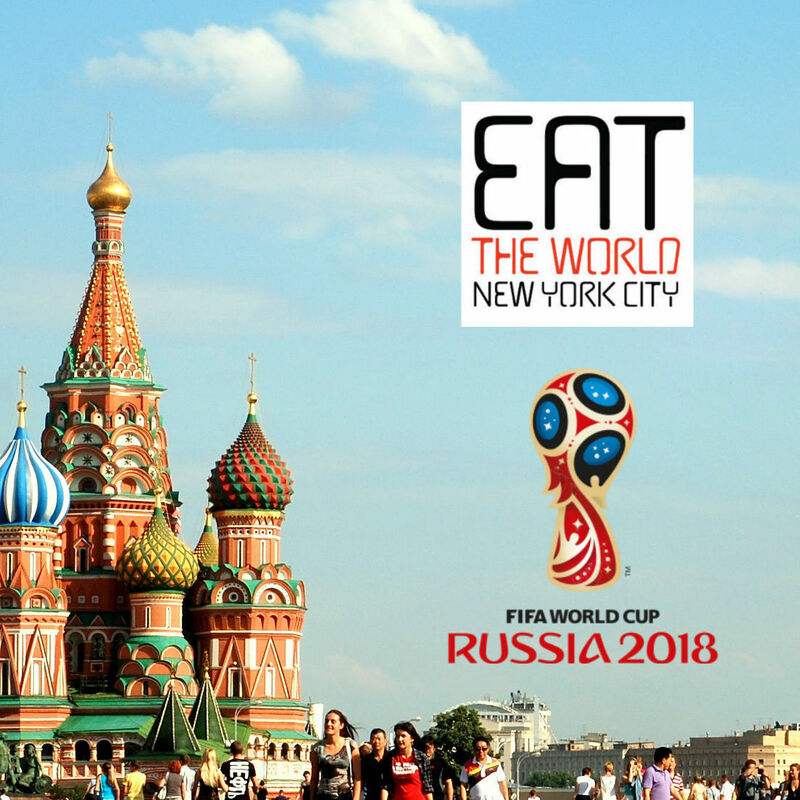 People who enjoy finding new foods in New York City may take a look at the awning of Mama Eatery or even browse the menu and turn their noses up in response. It is hard to really figure the place out, to be fair. They have sandwiches and western-style breakfasts, while advertising hanger steak and Italian sausage pasta on the chalkboards. Recently they have even added a poke bowl to stay with current trends. On a couple visits, the clients seemed to come mostly from NYPD Central Booking across Columbus Park, groups of police officers and other workers from the building made their way over on their breaks. In an area where Asian foods are the norm, these workers seemed to be comforted by the western options on the menu, ordering panini and salads. Our eyes were set on the menu of "Asian Spicy Curry" which technically only comes out after 3pm but probably could be asked for before this time. It is still referred to as a pop-up, but the Malaysian offerings on this menu have become pretty permanent. 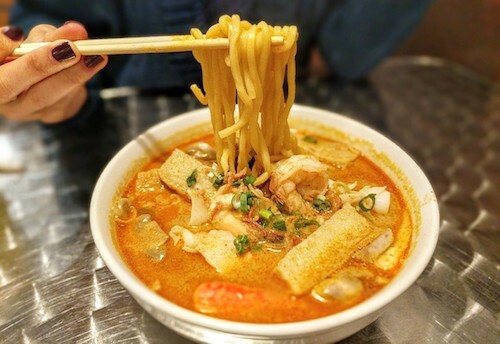 Curry laksa, called curry seafood noodle soup ($9.75, above and below) here, is about as good as it gets in our fair city. 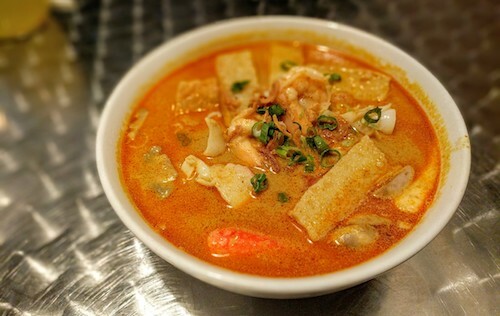 The thick broth consists of coconut milk, fish paste, and a small amount of chili paste to add a bit of heat. It was never attempted, but asking for an upgrade in this department certainly must be in the realm of possibilities. The broth is also home to thinly sliced pieces of tasty fish cakes, two modest shrimp, squid, and a scattering of mushrooms which were surprisingly delightful in this setting. You are allowed to pick between three noodles varieties, but traditionally the lo mein style is what this soup demands. For someone in the mood for a rice and curry dish, the curry spare ribs ($12, below) makes an excellent choice. A very generous portion of tender on the bone meat sits in another rich curry mix that has the tendency to settle. Mix these ingredients during each bite for the most enjoyment. The fried potatoes almost seem to come from the breakfast menu and feel just right on top, adding a slight crispiness to the texture profile. An accompanying plate of rice comes dusted with sesame seeds. It may not appear from the photo but this dish was actually difficult for one person to eat, a real deal at the price. The restaurant also features a couple curry options that can come served dry or as soups. 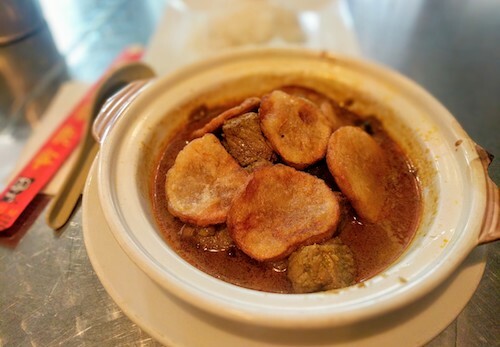 The dry chicken curry ($8, below) is presented with all dark meat and chunks of well cooked potato. The bed of noodles, mei fun in this case, is dressed and drowned in a soy garlic sauce that is closer to uninspiring than mind-blowing. A small bowl of what tastes like curry made from beef stock is served with this dish and should be applied generously. 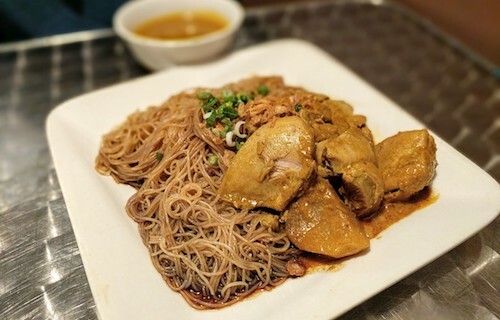 While these meals stick to the Malaysian "pop-up" menu, future groups should be encouraged to mix and match if desired. Part of the fun of this city is when cultures and cuisines collide, and even sticking to one side in this restaurant leaves patrons a little confused by what type of establishment they are in. This is all a big portion of the charm, just like eating in Malaysia can be with their mash-up of cultures.